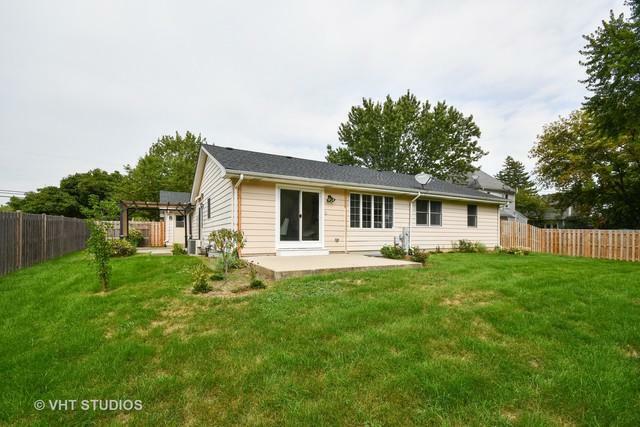 Renovated open floor plan ranch close to downtown Geneva. Fenced yard, 2 side patios, one with a pergola. 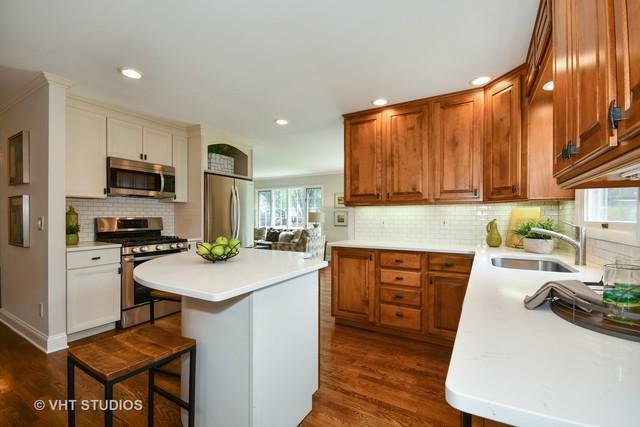 Updated kitchen, subway tile back splash, quartz counter tops, SS appliances, island with seating, eat in area, additional wall of cabinets, canned lighting. Family room, fireplace (pre-wired for TV mount) open to kitchen. Formal living & dining room. Master bathroom, with barn door entrance to bathroom, walk in closet, built in shelves. Master bath, walk in shower with white subway tile, dual sinks, white cabinetry. First floor laundry, washer/dryer. All new hall bathroom. Basement with bedroom (has exit window & closet), plenty of storage, area to finish for rec room or 2nd washer/dryer hookup. Updates: '10 sliding glass door, '11 a/c, & H20 heater, '14 sump pump, interior painted, carpet. 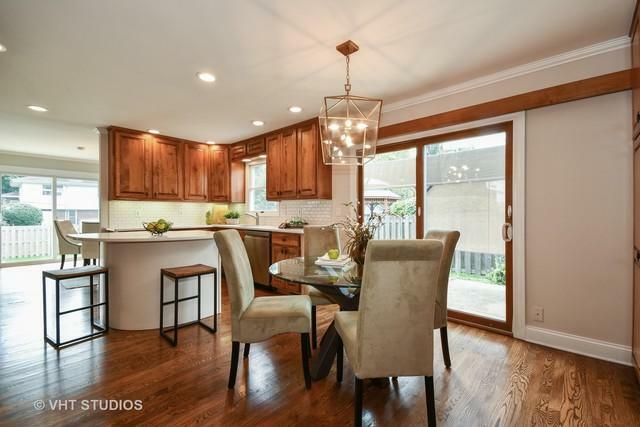 White trim & doors, hardwood floors. Extra driveway pad to park, back of home faces south for great light, Close to Geneva/restaurants/shopping/train. Move in ready! Quick close possible. 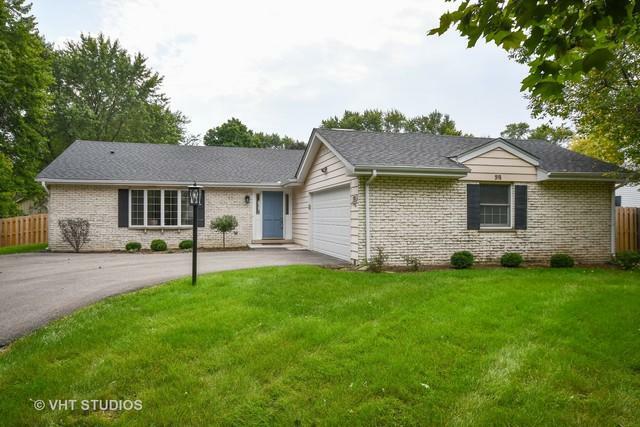 Sold by Fathom Realty IL Llc.